MANILA – The first trailer for the upcoming first big screen project of Julia Barretto and Gerald Anderson was finally released on Sunday. 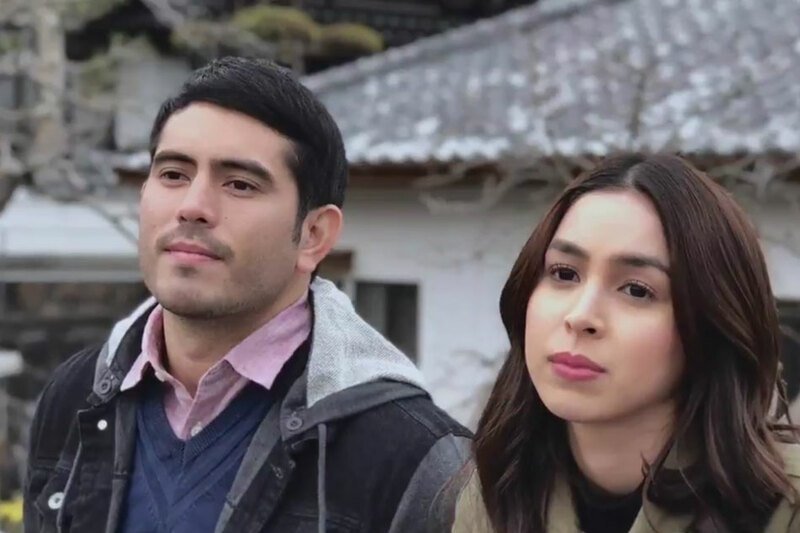 Set for a May 15 release, the short clip shows Barretto’s character Hazel and Anderson’s character Louie getting close while they spend time together in Japan. Hazel is a famous actress in the Philippines who has “no control of her life” despite her success. Louie, on the other hand, is just a “simple guy” whose life takes a painful turn after his parents are deported to the Philippines from Japan. In the teaser, Hazel admits to Louie that she’s never had a boyfriend, and asks him candidly if he could be her first. While they find comfort in each other’s arms, Louie tells Hazel how saddening their set up is since she is certain to leave him at some point to return to the industry where she belongs. To which, Hazel says they should just enjoy every moment they are together. Directed by Jason Paul Laxamana, “Between Maybes” marks the first team up of Barretto and Anderson.